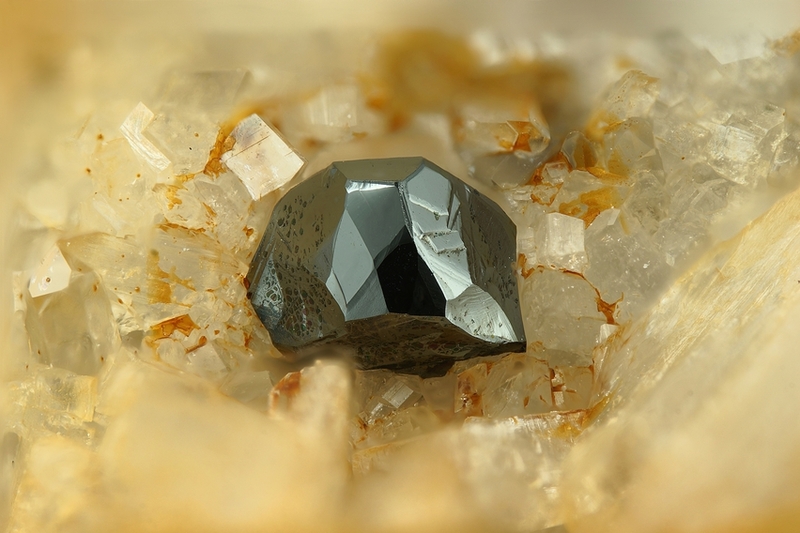 Senaite: Mineral information, data and localities. 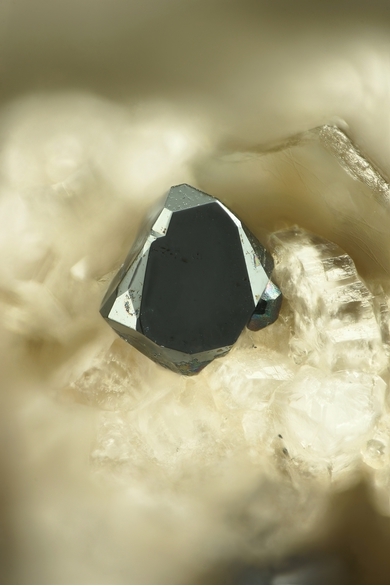 Named by Eugen Hussak and George Thurland Prior in 1898 in honor of Joaquim Candido da Costa Sena [13 August 1852 Conceição do Serro, Minas Gerais, Brazil - June 26, 1919 Belo Horizonte, Minas Gerais, Brazil], Professor of Mineralogy, at the School of Mines in Ouro Preto, Brazil. 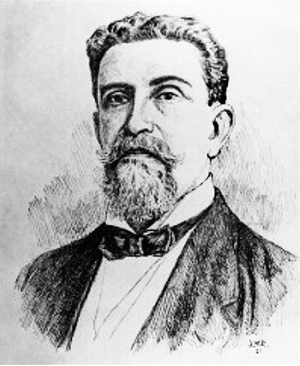 Sena was Director of the School of Mines, as well as President of the State of Minas Gerais, but he is most well-known for his prodigious out-put in the geological, mining, and mineralogical literature. He was recognized internationally by significant honors including: Knight of the Order of the Rose, Official of the Legion of Honor, Commander of the Crown of Italy, Official of the French Academy. He belonged to international organizations including: Mineralogical Society of Paris, Mineralogy Imperial Society of St. Petersburg, Geological Society of Paris, Berlin Geological Society, Member of the Latin American Scientific Congress, and Member of the Mining Academy of Letters. Forms a series with gramaccioliite-(Y). Richterite 4 photos of Senaite associated with Richterite on mindat.org. Cafarsite 2 photos of Senaite associated with Cafarsite on mindat.org. Smoky Quartz 2 photos of Senaite associated with Smoky Quartz on mindat.org. Rutile 1 photo of Senaite associated with Rutile on mindat.org. 8.5.1.7 Mathiasite (K, Ba, Sr)(Zr, Fe)(Mg,Fe)2 (Ti,Cr,Fe)18O38 Trig. Hussak and Prior (1898), Mineralogical Magazine: 12: 30. Palache, Charles, Harry Berman & Clifford Frondel (1944), The System of Mineralogy of James Dwight Dana and Edward Salisbury Dana Yale University 1837-1892, Volume I: Elements, Sulfides, Sulfosalts, Oxides. John Wiley and Sons, Inc., New York. 7th edition, revised and enlarged: 540-541. American Mineralogist (1968): 53: 869-877. American Mineralogist (1976): 61: 1203-1212. Mineralogical Record (1986: 17: 191-195.
ⓘ Fuchs Alp - Fuchs lake area (incl. Schwarz Alp; Schwarz lake; Kohlsberg Alp) ? 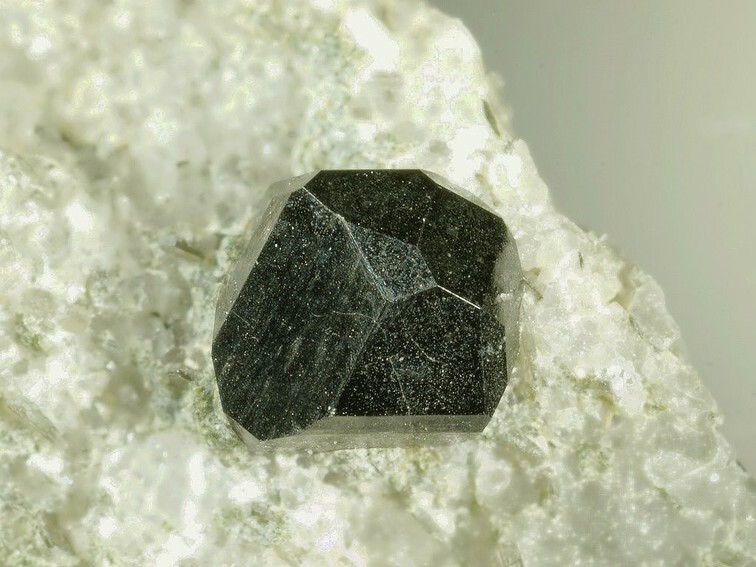 Kolitsch, U., Schachinger, T. and Bernhard, F. (2015): Ardennite-(As), ardennite-(V), gasparite-(Ce) and chernovite-(Y): first results of a mineralogical study of the metaradiolarite-hosted manganese ore mineralisations in the Fuchssee area, Radstadt Tauern, Salzburg, Austria. MinPet 2015, Leoben, Austria, September 10-13; abstract in Mitt. Österr. Mineral. Ges. 161, 67. Piccoli G.C., Maletto G., Bosio P., Lombardo B. (2007): Minerali del Piemonte e della Valle d'Aosta. Associazione Amici del Museo "F. Eusebio" Alba, Ed., Alba, 607 pp. ; Vanini F., Kartashov P.M., Ciriotti M.E., Bonacina E. (2008): I minerali della Cima della Freghera (Formazza, Verbano-Cusio-Ossola). Micro (località), 2/2008, 251-260. Kempe, U., Möckel, R., Graupner, T., Kynicky, J., & Dombon, E. (2015). The genesis of Zr–Nb–REE mineralisation at Khalzan Buregte (Western Mongolia) reconsidered. Ore Geology Reviews, 64, 602-625. Bermanec, V., Tibljas, D., Kniewald, G. (1992): Uranium-rich metamict senaite from Alinci, Yugoslavia. European Journal of Mineralogy 4, 331-335. Ilijevski, Kole (2012) Minerogenetic Features of the White Marble Deposit “Sivec”. Masters thesis, University Goce Delcev Shtip. Stalder, H. A., Wagner, A., Graeser, S. and Stuker, P. (1998): Mineralienlexikon der Schweiz. Wepf (Basel), p. 125.